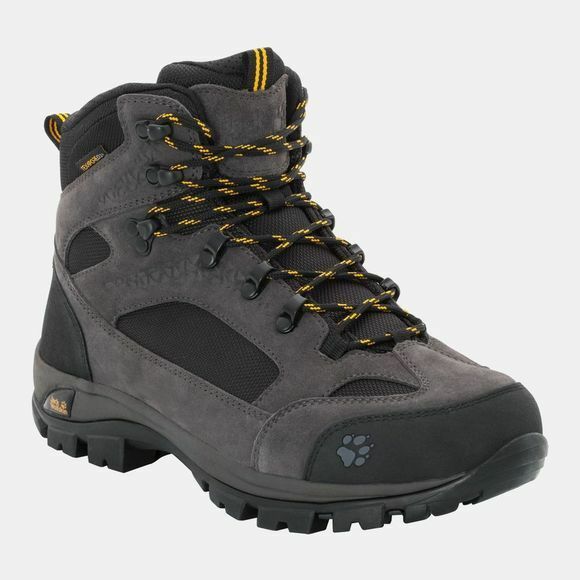 The Mens All Terrain 8 Texapore Mid Boot from Jack Wolfskin is Lowlands or hill country, single-day hikes or multi-day treks, rain or sunshine–the All Terrain 8 does it all. This classic trekking boot is a real treat for your feet. The sole and the inside of the boot are specifically designed for comfort on longer walks. The boot has a smooth and easy roll-over movement, cushions your foot and relieves the strain on your joints every step of the way. The Texapore membrane is 100% waterproof so your feet stay dry in the rain or when crossing shallow streams. And if any water does get in the Lining dries fast, ready for the next day's trek.